How do you fancy a V-twin 1,000, good for a genuine 155mph, set in a sleek alloy beam frame offering more than passable handling, decent brakes and damn fine build quality for a starting price of £1,500? Or you can quite easily catch one with fairing damage for a grand. That's a deal hard to pass up - and it's a deal that's repeated week after week because we're talking Honda's brilliant VTR1000 Firestorm here, Honda's repost to the Ducati phenomenon of the late 1990s. Their homologation specials, the SP-1 and SP-2, were of course the ultimate no-holds-barred answer that did indeed slay 998s in WSB, but you're talking £4-5k plus there. Buy a Firestorm and you'll get at least three-quarters of the performance package for one-third of the ticket. Now that's a steal. 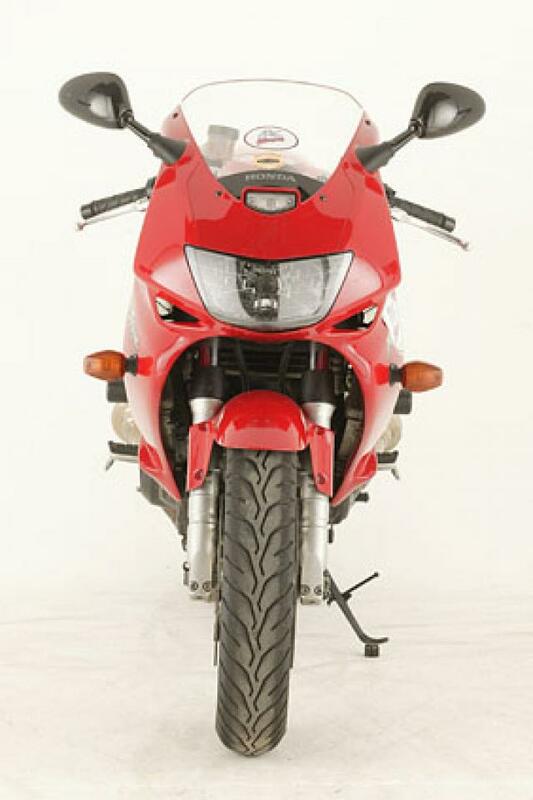 The Firestorm ran at the forefront of the late '90s V-twin revolution that swept through superbiking in response to Ducati's legendary 916 and Monster ranges. The Japanese, never ones to shy from a fight, fought fire with fire - the first salvos being Suzuki's brilliantly wayward TL1000S and Honda's altogether more balanced Firestorm. 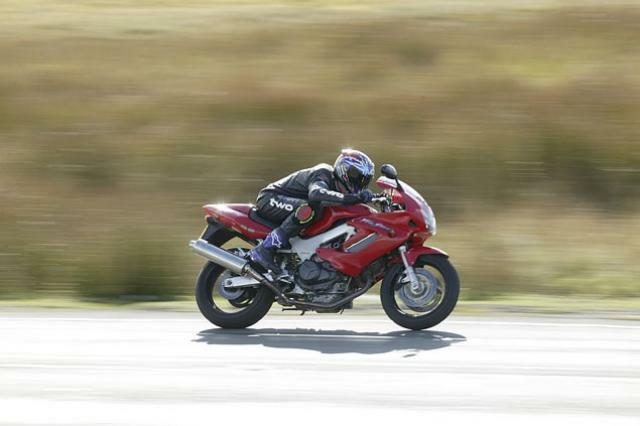 The Firestorm matched the base model 916 literally blow for blow: 996cc, 110bhp, 155mph top speed, 193kg. Only the packaging was a lot less racey, a lot more streetbike, and while attractive from certain angles, it was nowhere near as drop-dead beautiful as the 916. But it did offer the usual Honda attributes - a wonderfully strong motor, year-in year-out dependability and a build quality that said 'this bike will last'. And bless those engineers in Hamamatsu for they even managed to engineer a seriously cool booming exhaust note. The Firestorm was a V-twin with an edge, but also with civility and that Honda wing. So while the radical TL1000S went by the wayside, the Firestorm sold in droves.